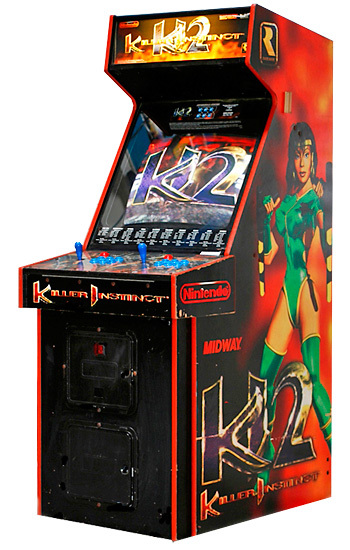 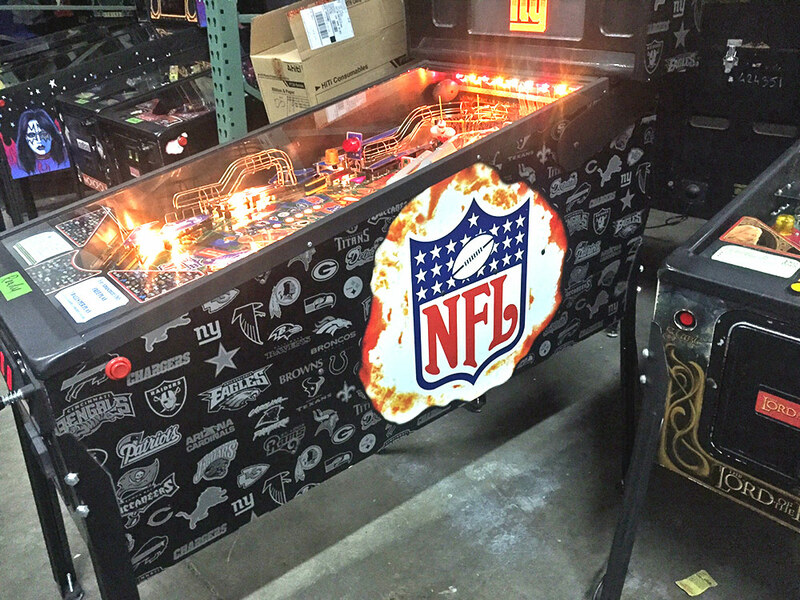 NFL Pinball is a very rare and limited edition pinball produced by Stern Pinball in the spring of 2001- All games were special order only! 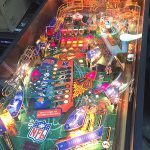 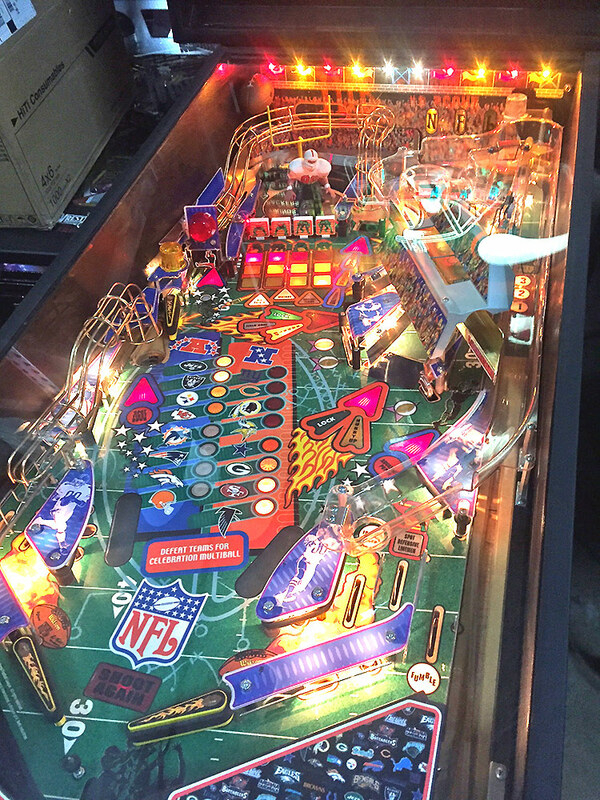 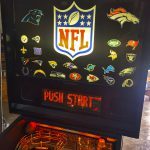 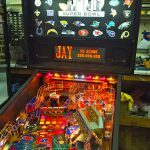 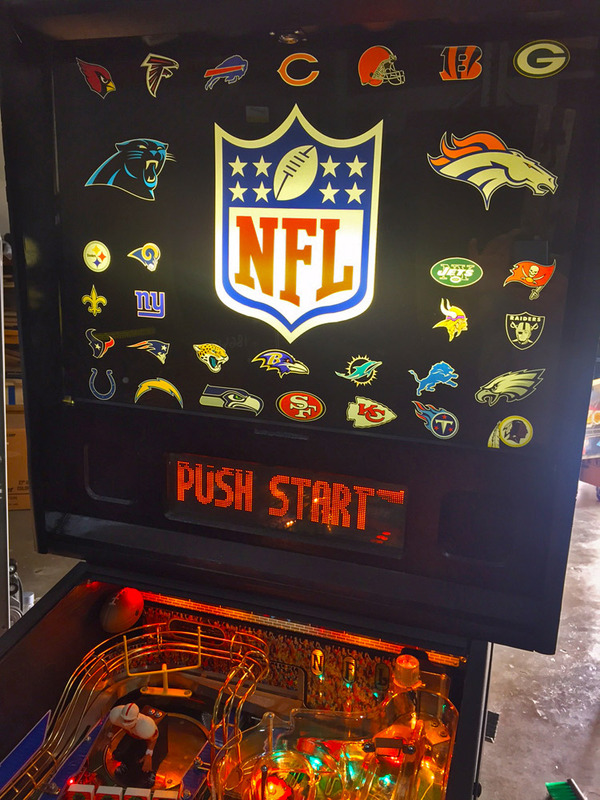 19 different versions of NFL Football were made, representing most of the major NFL franchises, but only a very limited number (25 to 100) was made for each team, making this pinball machine an extremely rare football collectors item ! 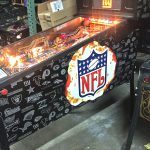 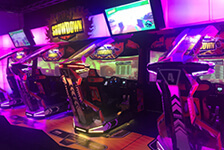 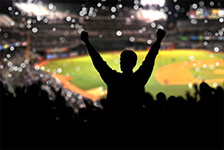 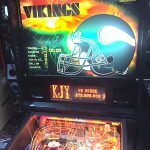 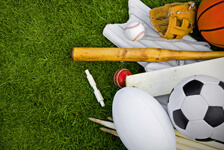 NFL Pinball is packed with action, from everything like the sounds of cheering fans in the stadium, to an announcer that comments on play, to some excitement-packed music plus fast-paced pinball action! 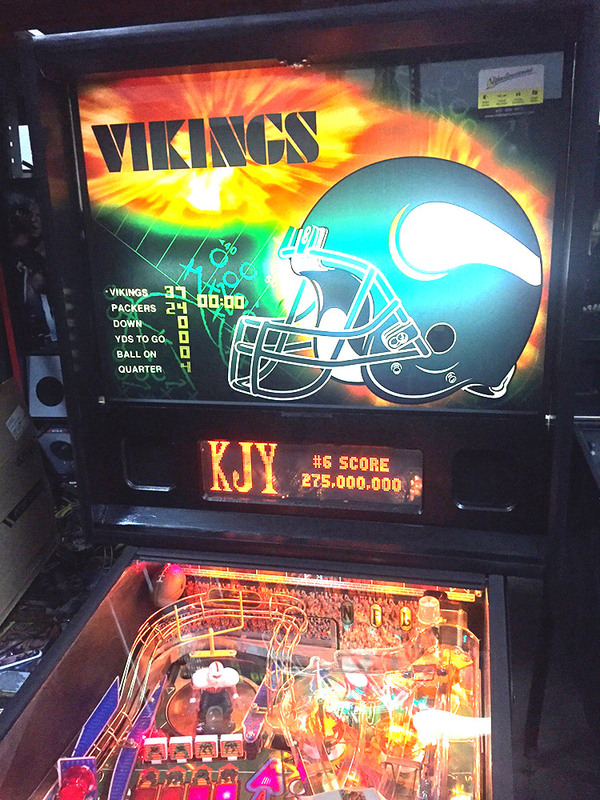 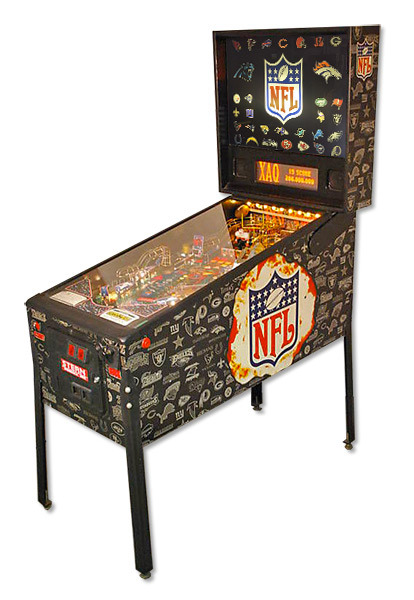 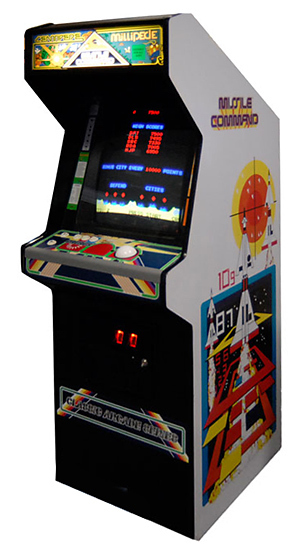 NFL Pinball game play and rule sets are the same for all NFL teams; only the artwork and graphics were changed on the backglass for the different team names and NFL Official Logos. 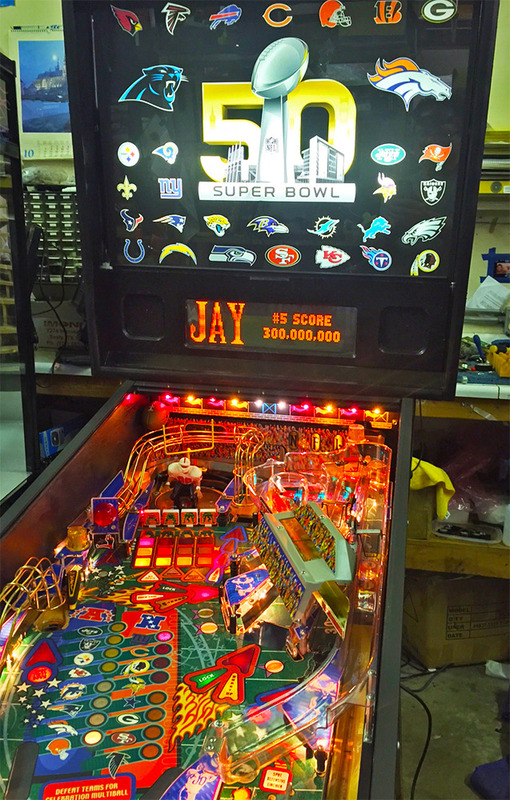 you want on your order.